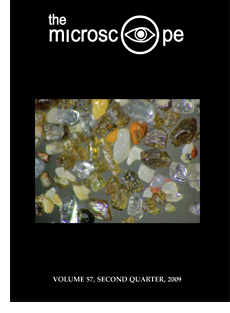 On the cover: This High Dynamic Range (HDR) photomicrograph of properly exposed sand grains was constructed from four similar images of varying exposure values by combining the “best” exposure areas from each image. See Criteria for High Dynamic Range (HDR) Imaging of Photomicrographs. Editorial | Rebirth of the International Microscopical Society?